Sydney, 15 May 2017: Despite an understanding within the budget, and other recent rhetoric by the government, that Australia’s power grid is in need of a rethink, the real opportunities to leverage renewable energy to the nation’s economic benefit are being missed. The economic value of renewables is being recognised around the world, and despite the hostility towards renewables, recent stats indicate that Australia has had its best year for investment in renewables on record in 2016, and is on track to meet its goals for 2020. This is both the case at government level, with many state governments competing with one another to announce the largest renewables projects, and also the case with community projects. On the latter point, a recent report has shown that Australians have financed more than $24 million in community renewables projects. Renewables also create jobs. According to the Advanced Energy Now 2017 Market Report, in the US alone, there are 3.3 million people employed by advanced energy. It is equal to the employment provided by retail stores, and twice the jobs in construction. “The money, and the investment is there, but what is Australia really doing about it? We ask that the government look more closely at the potential that Australia has to become a world leader in renewable energy, when renewables will clearly become as lucrative as coal and gas mining for those nations that are willing to make the investments now and develop innovative technology. Additionally, something that’s been often forgotten in the discussions about energy security and the price of power is the raw potential for rooftop solar and batteries to play a big role in Australia moving forwards. “Through Evergen, there is locally-developed smart technology that helps consumers with rooftop solar and batteries to make the most of their investments. In conjunction with the CSIRO, we have developed market leading technology in the renewables space,” Mr Keane said. The ability for this technology to apply deflationary forces on the cost of power is something that shouldn’t be overlooked; at the moment, home-generated power is considered to be separate to grid energy solutions being developed, but we believe it would be far more effective to have the two working in concert,” Mr Keane said. ● A$90 million to expand gas supplies, partly through increased unconventional gas exploration – There have been tens of billions of dollars invested over the last 10 years to develop Australia’s gas resources for export. The $90 million in response is not going to move the needle and will take years to come to fruition. ● A potential Commonwealth buyout of an expanded Snowy Hydro scheme – This is interesting from a State and Federal funding perspective and is intended for States like NSW to invest in infrastructure. There is no direct impact on energy markets however, as it relates to an existing asset simply changing hands. Evergen would like to see a focus on small-scale solar and battery systems, which can improve the reliability of power supply. Some systems currently on the market can actually provide backup power to the house if there is a blackout. Concepts like micro-grids and virtual power stations that coordinate lots of individual solar and battery installations, can provide support the broader grid, improving reliability in extreme weather events. ● Up to A$110 million for a solar thermal plant at Port Augusta – It’s interesting that the Government would select any particular energy technology ahead of another – particularly solar thermal, which hasn’t necessarily proven itself to be cost effective in comparison to alternative technologies. The Federal Government has had subsidies available for large-scale renewable energy for years now, without mandating any particular technology. Market forces have determined that large-scale wind and solar photovoltaic have been the most cost-effective solutions to date. ● Monitoring of gas and electricity prices by the Australian Competition and Consumer Commission – Australians don’t need more monitoring to tell them that their energy bills are too high. Consumers do have options to lower their bills, however it means taking matters into their own hands, and investing in new technology, such as solar and batteries coupled with intelligent management that gives them control. Mr Keane continued: “At a time where Australia’s economy would benefit from easing power prices, the prominence of these items in the budget is an ominous sign of what’s to come in terms of price rises. Wholesale electricity markets have risen to unprecedented levels and unfortunately we could see that translating into higher residential prices in July,” he said. Evergen is a new energy services company that sells and manages intelligent home energy systems comprising solar power and batteries. The ’intelligence’ technology is provided by the CSIRO, which periodically analyses and remotely updates the system to improve over time. AMP Capital is a major investor in the company alongside CSIRO. 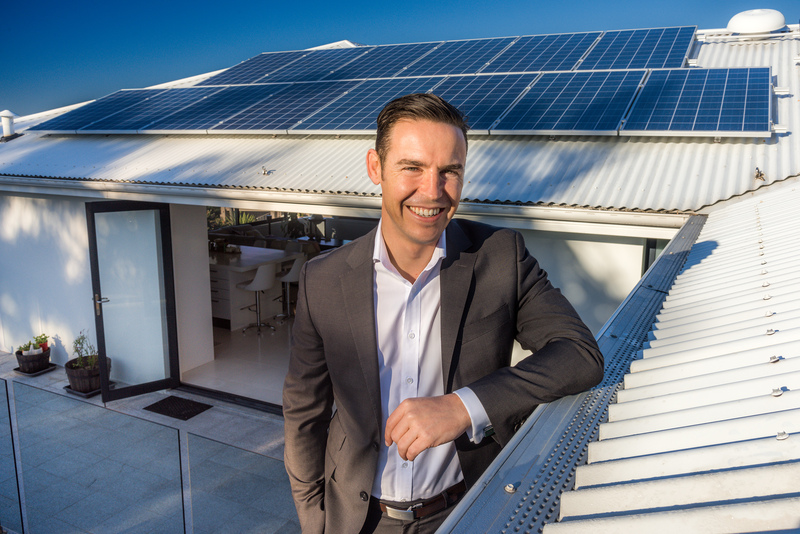 Evergen is run by energy scientists and advocates of change for clean solar and battery storage technologies for the home including renowned energy scientist Dr Glenn Platt and former CEO of AMP Capital and Evergen Chairman Stephen Dunne.